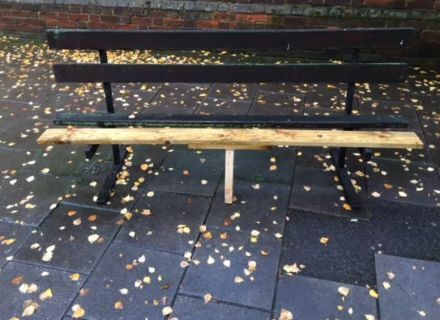 Steve sent me this picture of a bench in Bath street that has been unusable until a local carpenter took the matter into their own hands and repaired it. They even added a new leg for safety. 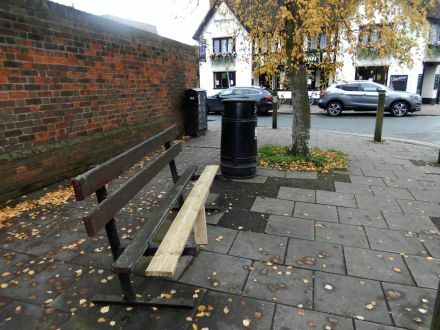 If you would like to use the seat then it can be found near the Black Swan and behind Poundland. Could he build us a bridge? Well done whoever did this. Let’s hope H & S etc. don’t spring into full outrage.